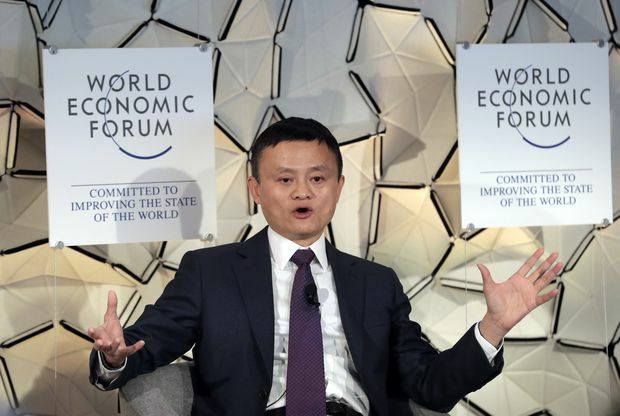 Jack Ma, CEO of Alibaba group, gestures during a session at the annual meeting of the World Economic Forum in Davos, Switzerland, on Jan. 23, 2019. Cheng Zheng has few illusions about the punishing schedule he expects some of his employees to keep: a 72-hour workweek that has become the subject of a rising outcry in China. Yes, workers struggle to stay awake and focus after too many hours in the office, eroding their productivity. Yes, the rigours of a 996 schedule – so-called because it involves being at the office from 9 a.m. to 9 p.m. six days a week – has led people to quit jobs in the country’s furiously competitive tech industry. Yes, 996 could be considered exploitative. And yes, many people think it’s downright illegal, a contravention of China’s worker-friendly laws that generally place a 44-hour limit on weekly hours, save for companies that obtain special permission or pay overtime, which many tech firms do not. Mr. Cheng is in illustrious company. Some of the best-known names in China’s high-tech sector have adopted the 996 work-week – and now they’re defending it, amidst a growing online protest by tech workers. Another of the country’s billionaire tech stars, JD.com founder Richard Liu, last week publicly disparaged the malingerers whose numbers, he said, have grown on his company’s roster. “If this carries on, JD will have no hope. And the company will only be heartlessly kicked out of the market. Slackers are not my brothers,” he said. Many of the stories of overwork have accumulated under the label “996.ICU,” a joke that such a schedule can result in hospitalization. Workers have gathered a whitelist of companies that espouse a work-life balance, but have also built up a “996.Leave” page that compiles information on overseas working conditions for those who want out, in addition to documenting health concerns and telling stories of personal difficulties. The debate over long work hours in tech is not unique to China. In Silicon Valley, the 80-hour work-week is alternately described as innate to success – and inhuman. Critics sometimes cite a 2014 study by Stanford economist John Pencavel that relied on data from First World War munitions makers to determine that there is little difference in a person’s output beyond 56 hours a week. In 2018, Mr. Gao placed managers on the 996 schedule. Profit soared. “996 cannot by itself solve the problem of worker efficiency. But it does give employees more time to think about their jobs,” he said. The demanding schedule has deep roots. China only adopted a two-day weekend in 1995 and “996 is like going back to old habits. It’s not a new creature,” Mr. Gao said. In the tech industry, the long hours are often linked to Huawei, whose famous “wolf” culture – bloodthirsty, tireless – is commonly credited as the corporate inspiration for 996 schedules elsewhere, particularly since many see Huawei as China’s foremost international success. Even critics see a link between lengthy hours and that company’s ascendancy. ”Huawei is famous for this, and it is a very big advantage over Western competitors like Ericsson,” said Jude Zhu, the founder of Greenstone Consulting, which coaches early-stage companies in China. But, he said, “we are working longer and longer. And people’s health is worsening. Family relationships are being put in jeopardy.” Tech workers exchange stories of colleagues who died from apparent overwork. In that light, Mr. Ma’s embrace of 996 sounded unsympathetic. “You should at least let your employees know that you care about their health,” Mr. Zhu said. “In the history of Western countries, there was also once a time when entrepreneurs exploited workers like crazy,” he said. Now, he and a handful of others have embarked upon a project to push for change in China. They plan to start with an information gathering campaign, in the hopes that naming companies can shame them into amending their practices. They also intend to prepare proposals for the country’s legislators to consider next year. The employers, however, aren’t concerned. For Mr. Cheng, the tradeoff to 996 hours is a substantial salary: His workers can earn $60,000 a year, with the expectation that they will put in the hours required. “Money is still the top issue most people care about. So I see it as something reasonable," he said.